Learning to ask for and receive directions is a very useful skill that is usually associated with beginner language learning. It shouldn’t be, it’s much harder than that! I remember when I started learning Chinese and we had one chapter the first semester about navigating a small town drawn in our textbook, complete with a post office, a bank, a school and a library. I remember that the listening exercises were really hard, but that didn’t matter much, because we soon moved on to other chapters. In a way, I think asking for directions is a bit like counting in Chinese, i.e. it’s something you think you’re good at, except that you aren’t. 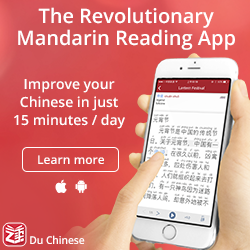 This is because a language isn’t just knowledge, it’s not enough to be able to recall the words in Chinese, you need to be able to do so immediately without thinking. This can only be the result of practising. 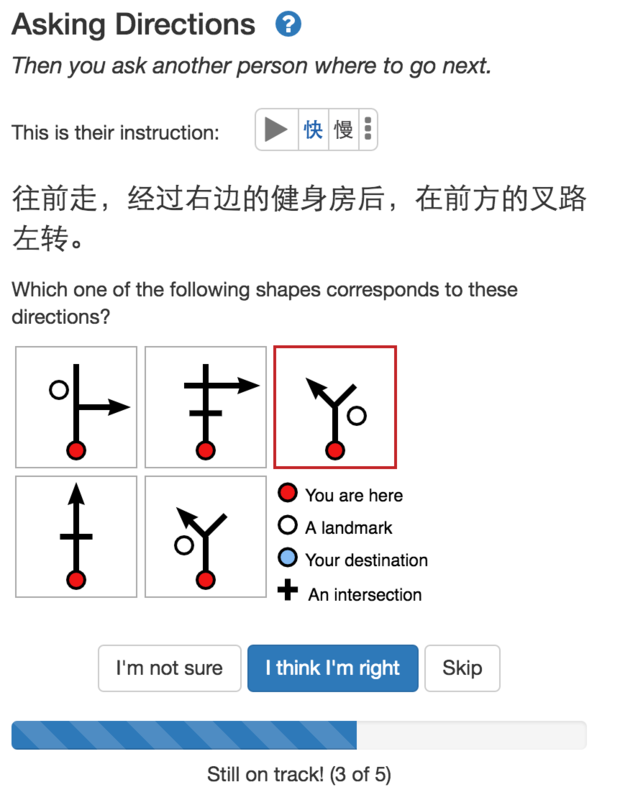 The problem is that most people don’t practise much, unless they have a terrible sense of direction and get lost all the time in Chinese cities. When I first arrived in Taiwan after one year of studying in Sweden, I was really bad at both asking for and receiving directions! I don’t think I’m the only one who has been in this situation. Put away your smart phone – This is really important and applies to more than just asking directions. 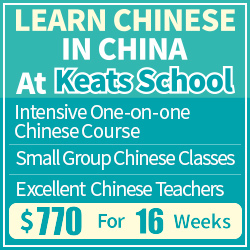 If you don’t use your brain to figure out how to do things in Chinese, you will never learn the language. Don’t use your GPS and interactive maps to find the way to your destination. This is a wasted learning opportunity! Turn off your phone and ask people around you. Using a smart phone is cheating and the only one who will suffer is you. Yes, it will take longer, but you will also learn more. Pretend you’re lost – Pick a place you know well, then walk a few blocks in one direction and ask someone how to get to the place you just left (or give them a landmark nearby). Listen to their replies carefully. Then ask another stranger the same question. 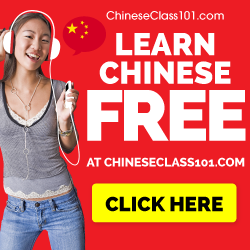 Since you presumably remember the way you just walked, you already know how to get there, your mission now is to learn how to do that in Chinese. Ask as many people you want! Then walk in another direction and repeat the process. Practise with WordSwing – As a preparation for the above or as a substitute if you don’t want to or can’t do it for real, you can check out this activity over at WordSwing. 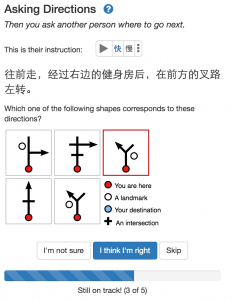 It’s developed by Kevin and me, and is easy to use: you will hear directions in Chinese and you’re supposed to match the instructions to a figure describing how to walk. You need to answer several such questions to get to your final destination. You can also get the sentences written out, look up vocabulary, slow the speech down and much more. Try it out! Also, if you have suggestion for how to improve, just let me know. Navigating street view – If you want to simulate the feeling of walking through a Chinese city without actually being there, you can use the street view on a map service like Google (only Taiwan? ), I Show China, City8 or Baidu. Naturally, you still need someone to ask or give directions, such as a language exchange partner or tutor. I’ve tried this myself and it works well. Once you’ve followed directions given to you, try to write your own and see if your friend ends up where you intended him or her to be! In summary, don’t think you know how to ask directions in Chinese just because you have covered that chapter in your textbook. There is no substitute for large amounts of practice, and if you don’t get lost often, you can create these situations in the manners described above. If you have any other good ideas for improving, leave a comment! 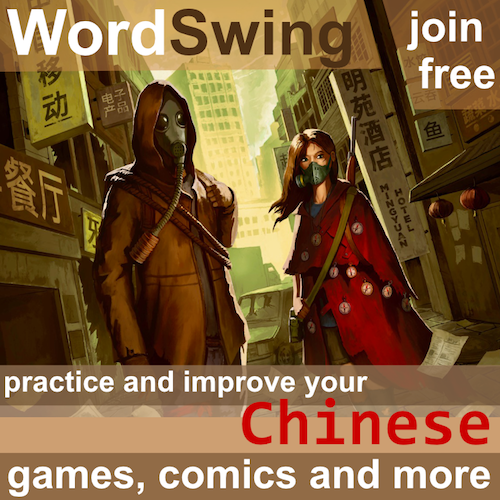 I was just trying out WordSwing, and it’s an awesome tool. One question though – Are the characters available in traditional text as well? Another problem is that on the mainland people are not good at giving directions. Everything is “five minutes” or “ten minutes”, but directions are not consistent nor systematic. Words wing is super great. Is it available in traditional chinese? Giving directions is always a chapter in 2nd language learning. And the core problem is that it is all taught abstractly. You just start some place and go straight, turn left, turn right, and so on. The Real Reality is that if you learn a few local landmarks, things get a lot easier. And when asking directions in China, if you carry a map for reference while listening — things get a lot clearer. It is just plain silly to avoid using maps and the names of local landmarks. You and everyone else has to work harder. The idea is seducing “just drop the GPS and pick-up a place you know, this way you can learn how to say directions about it”. Except that when you ask directions to random people in the street, they-are-always-wrong. It’s funny, I do triangulation just like a GPS: I ask 3 people and then ponder their answer to find the middle one. Or just ask 1 and take the opposite direction.. I think you’re overly pessimistic, even though of course some instructions will be wrong. I have lived in Taiwan for four years without using a GPS a single time, asking people for directions probably a hundred times and I have always arrived at the destination, mostly without too much trouble! I wish I was! But it’s really common experience in China. Maybe people in Taiwan are more “environment-aware”, or just tell you straight to get a cab when they don’t know. Anyway, it just makes it more funny, no big deal. It’s an interesting observation, I haven’t asked for directions in China enough to make a comparison. One thing I’ve heard from other people is that Mainlanders seem more prone to use absolute directions like N/E/W/S when giving directions, is this something you have encountered too？ It’s not common in Taiwan and here in Sweden, it would feel very strange to give directions in that way unless we’re looking at a map when speaking. It’s very often just a vague gesture, indicating “thattaway”. Mainlanders would rather offer vague, imprecise, oftentimes totally incorrect directions rather than admit to not knowing. It often takes pressing them further: “How many blocks do I go? Should I just keep going straight? Do I cross the street or turn at the first intersection?” <– AND THIS is the real language lesson haha.